A modern, fresh and vibrant embodiment of the now and forever scent. N°5 L'EAU is the N°5 of today. 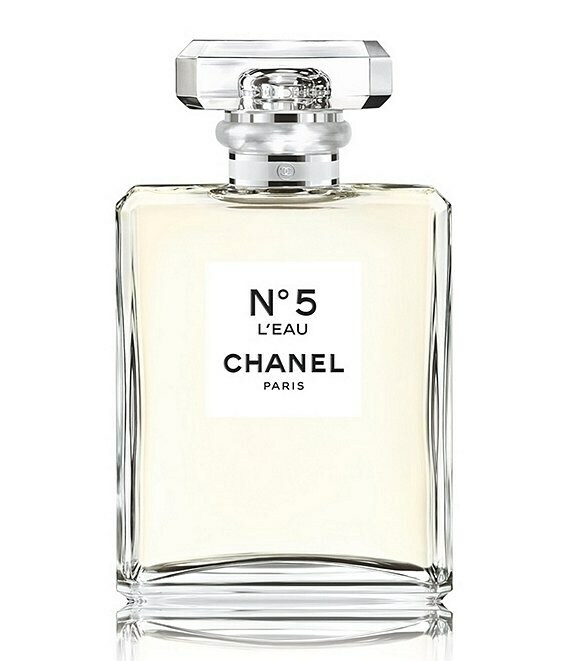 Composed by Chanel Perfumer Olivier Polge, N°5 L'EAU features dynamic, crisp top notes of Lemon, Mandarin and Orange that reveal lightheartedness and transparency. The emblematic heart of the bouquet unfolds with Rose, Jasmine and a new fraction of Ylang Ylang, more modern than ever. Behind this floral whirlwind lies an unprecedented sense of liveliness: the vibrant echo of Cedar, accompanied by soft and cottony musk notes. The Eau de Toilette comes in a spray for more generous use, with easy application on skin or clothing. The classic bottle features a new continuous misting spray, while the beveled glass appears crystal-clear, like pure wateran expression of simplicity and elegance. n°5 l eau eau de toilette spray 3.4 oz.